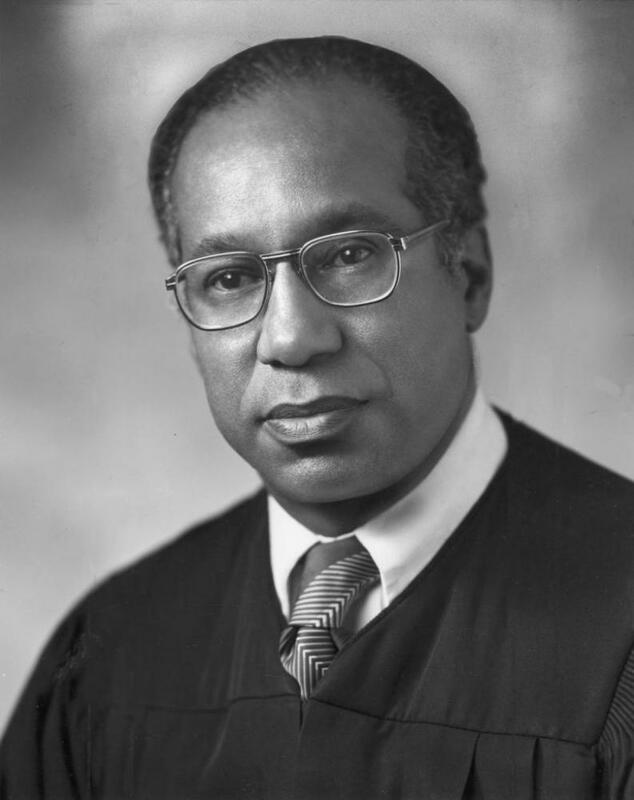 Wiley William Manuel, the first African American to serve on the Supreme Court of the State of California, was the son of a railroad dining car waiter, and a domestic worker. He was born on August 28, 1927 in an impoverished area of Oakland, California and attended public school in Berkeley. Manuel graduated from Berkeley High School in 1945, served in the U.S. Army from February 1946 to May 1947 and then graduated from the University of California, Berkeley. In 1953, Manuel graduated from Hastings College of Law, where he excelled as a law student, achieving Order of the Coif honors and served as editor-in-chief of the Hastings Law Journal. After graduating from law school, Manuel joined the California Attorney General’s Office first as a student legal assistant in 1953 and then, after passing the bar examination, as a deputy State Attorney General in 1954. In 1959, Manuel was promoted to senior legal deputy status and head of the administrative law section. In May 1970 he was promoted to assistant attorney general and in February 1971 he became the chief assistant. Over the course of 23 years, Manuel served as an expert in administrative law, supervised and led by example hundreds of attorneys, and vigorously represented state agencies in complex litigation. In 1976, Governor Edmund “Jerry” Brown Jr. named Manuel to the Superior Court in Alameda County. A year later, Brown elevated him to the Supreme Court of California. On November 7, 1978, Justice Manuel was elected to a twelve-year term. Although his untimely death cut his court tenure to four years, he wrote eighty-eight opinions including Wellenkamp v. Bank of America, (1978), that affected real estate financing, Brown v. Curb, (1979) which divided the California Governor’s and Lieutenant Governor’s powers, and People v. Zelinski, (1979), which said store security employees exceed their authority by searching for and seizing evidence from a person detained on suspicion of shoplifting. Despite his heavy workload, Justice Manuel found time for travels with his wife of 32 years, Eleanor Manuel, and their children, Yvonne and Gary, as well as gardening, fishing, sailing, photography, and the preceding day’s game of the Oakland Raiders. He was a member of St. Pascal’s Roman Catholic Church, the National Association for the Advancement of Colored People (NAACP), the Charles H. Houston Law Club, and the California Association of Black Lawyers. Justice Wiley Manuel died of cancer on January 5, 1981 in Oakland, California at the age of 53. That same year, the Sacramento Association of Black Attorneys changed its name to the Wiley Manuel Bar Association of Sacramento County to honor the late Justice. The State Bar of California also established the Wiley Manuel Certificate, which recognizes pro bono work to low income clients. The Alameda County Court was renamed in his honor and Hastings College of Law established the Justice Wiley W. Manuel Scholarship. Southwestern University Law Review 12, pp. 2-3. 1980-1981; Frank Richardson, “In Remembrance of Justice Wiley W. Manuel.” California Law Review, 69(4), 1981, pp. 917-918, http://www.jstor.org.offcampus.lib.washington.edu/stable/3480282(login required); “Preserving Our Local Legacy.” Wiley W. Manuel Bar Association, https://wileymanuelbarassociation.com/; William Endicott, “From the Archives: Wiley Manuel, First Black on State High Court, Dies.” Los Angeles Times, January 6, 1981; “Reports of Cases Determined in the Supreme Court of the State of California.” 1982, https://www.cschs.org/; Access to Justice.” The State Bar of California. http://www.calbar.ca.gov/Access-to-Justice/Pro-Bono.